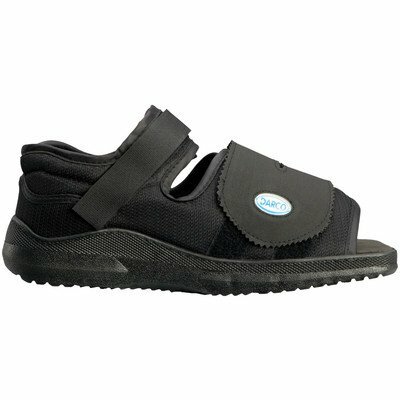 The DARCO MedSurg Shoe provides rigid control under the metatarsal heads,Multi-Purpose, off-loading system built around a removable peg insole that off-loads the plantar aspect if the foot for faster healing after surgery, trauma or when wounds are present. If you have any questions about this product by Elite Orthopaedics, contact us by completing and submitting the form below. If you are looking for a specif part number, please include it with your message.